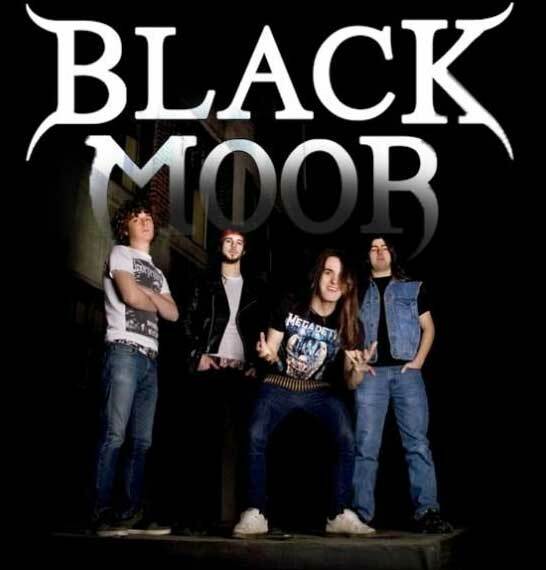 Black Moor are a heavy metal band, plain and simple. Their sound is certainly retro, riding that familiar border between traditional heavy metal and speed metal, putting the band squarely in the New Wave of Traditional Heavy Metal camp. Their sound is heavily influenced by the classic 80's metal bands with a big nod to early Iron Maiden. The dual-guitar intro to of the opening track "Beyond Hell" immediately sets the tone for the entirety of the album, with its early Iron Maiden feel and raw Eric Hanlin's Dianno-esque vocal delivery. "The Conquering" is packed full of stellar guitar solos, dual guitar harmonies, and little interludes, such as those used on songs like "Death to the False Emporer" and the title track. There are also some minor surprises such as the piano intro to "The Human Disease" and the brief acoustic guitar used in "Fiend." Many of the tracks features fantastic guitar jams as well, with songs like "Breath of the Dying" clocking in at nearly eight minutes and the majority of the songs clocking in at over five minutes long. Though the album is fairly melodic, there are some heavier moments as well. The title track has moments that remind me of early Metallica with Hanlin's vocals even having that Hetfield grit. "The Conquering" isn't going to win any awards for the most inventive mix of styles or for being the most original band out there, but that's not really the point either. The point is to make great, fist-pumping, head-banging, classic heavy metal and in that they succeed. Black Moor are a heavy metal band from Dartmouth, Nova Scotia, Canada who are part of the world-wide New Wave of Traditional Heavy Metal movement. Formed in 2005, their first full length album "The Conquering" was released in 2009. 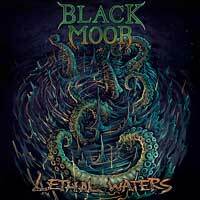 "Lethal Waters" is their follow-up album and is pure, unapologetic heavy metal. Think denim and leather, bullet belts and headbanging. Their music is heavily inspired by many greats of the New Wave of British Heavy Metal, especially early Iron Maiden, with a touches of speed metal. The album is chock full of galloping rhythms, dual guitar leads, sharp guitar leads, thundering bass and drums. For fans of traditional heavy metal, these guys are absolutely infectious.